Let’s Be Nice Out There! We are all encouraged to use social media not only in our personal lives, but also in our business lives and in our personal development and education. 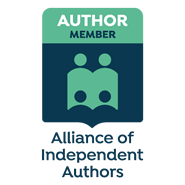 As a writer who is trying to build relationships with other writers and to reach out to readers, and to promote my writing as well as find work as a freelance proofreader/editor, I spend a huge amount of time everyday ‘networking’. But increasingly I am withdrawing from discussion groups and forums. I find them too combative. Now, I don’t think of myself as a shrinking violet and I’m fairly thick-skinned, but I’ve seen some nasty things online just lately! For example, someone came onto Site A and, clearly having a dark afternoon of the soul, said something along the lines of “finding it so tough to sit down and write today”. I reckoned they were looking for a friendly comment along the lines of, “I know what you mean, been there myself, but tomorrow will be better, hang on in there”. But no. Person X decides to say “you’re obviously not cut out to be a writer if you give up at the slightest setback. Maybe you should find something you’d be better at.” What ensued can only be described as a brawl. And it’s not an isolated case. It seems to be happening everywhere online at the moment – one person reaches out, opens up, and someone else decides to stamp on their heart. Otherwise perfectly pleasant people have fisticuffs over what constitutes Mystery, Suspense or Thriller, or how to define Life Writing and whether it’s the same as Memoir. ‘Expertise’ and ‘Qualifications’ are brought into play in what essentially boils down to a ‘my dad’s bigger than your dad’ situation. I can’t be doing with it. As my mother taught me, good manners cost nothing. She also said, if you can’t say something nice, don’t say anything at all. All I’m saying is, we all struggle sometimes, even at doing things we love or have a flair for, and with the anonymity of social media, remember you may not know the whole story. So, please folks, let’s be nice out there. Some people just don’t play nice in the sandpit at all Caron. I agree! There are many occasions when I refrain from commenting on posts, simply because I do not want to be drawn into disputes and disagreements as a result. There are far more important things to bother with in life!